The Silver Marine AIO series is an all-in-one aquarium for entry level enthusiasts in mind. It provides a built in filtration system in the back of the tank. This system eliminates the barrier to entry for saltwater or freshwater aquaria at a much lower cost. Standard with every AIO system is a premium return pump and filtration media. 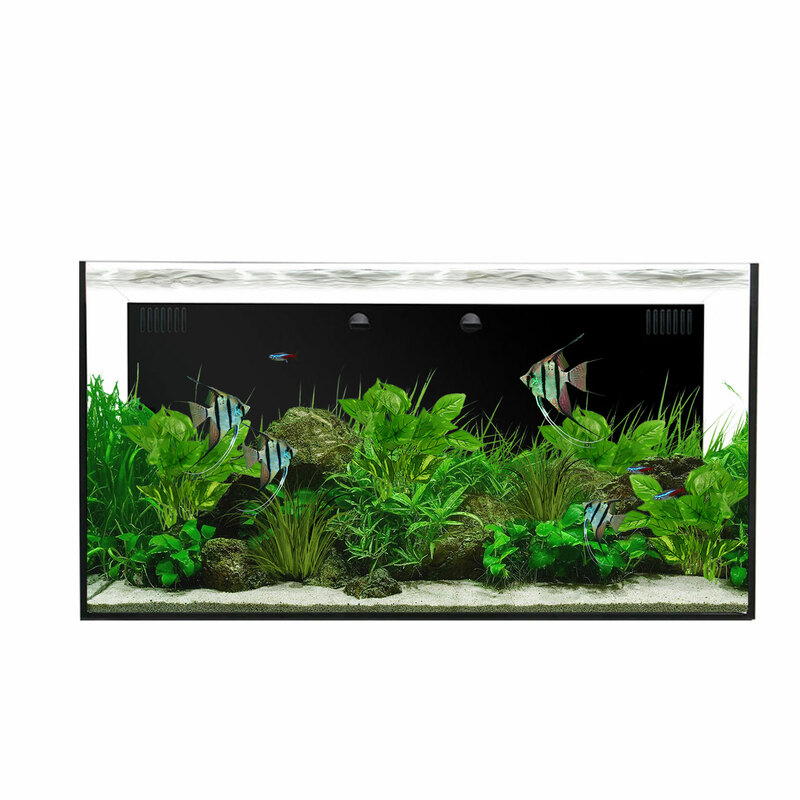 All Waterbox Aquariums utilize licensed Starphire Glass. Starphire is the ultimate in ultra-clear, low iron glass technology. Our AIO systems include force flow nozzles which increase turnover and increase overall health. Three foot AIO systems include a dual flow design to maximize flow on larger systems. Each Waterbox comes standard with our laser-etched, floating logo inside the glass to prove authenticity.